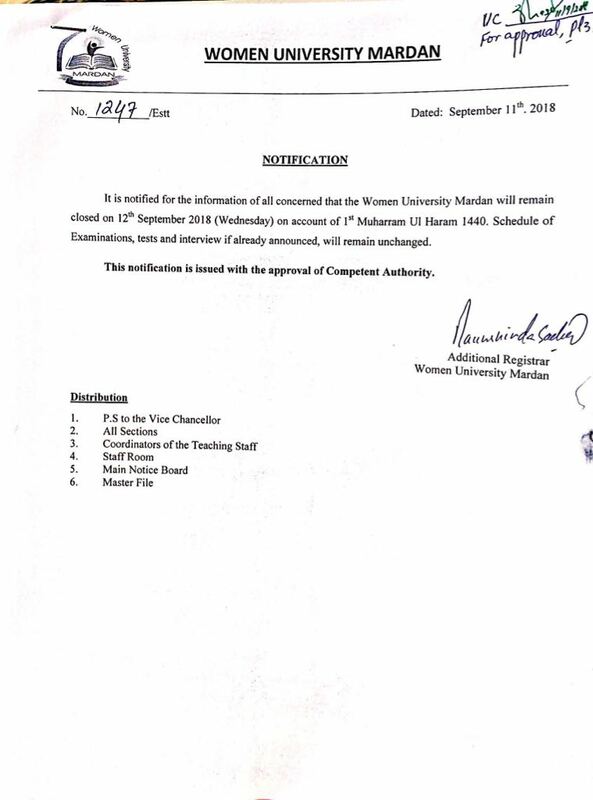 It is notified for the information of all concerned that Women University Mardan will remain closed on 12thSeptember, 2018(Wednesday) on account of 1st Muharram ul Haram 1440. Schedule of examination, tests & interviews if already announced, will remain unchanged. Note: This is issued with the approval of competent authority.